New parts added, if prices are off let me know. Hi, would you post the Buritto bag? Yes mate, probably be be a couple of quid no doubt? Is the stem still available ? Ritchey 150mm. If yes, I take it. Hi mate, yeah it's still available. Fire me a PM. Dexter in reply to @William. In that case, I'm Interested in the ultegra 10 speed crankset then, if they are compact 50 / 34, and you are happy to split the group. I'd rather not split just yet sorry mate. I understand. Got pictures of the group? Cheers for the wheel @Dexter! 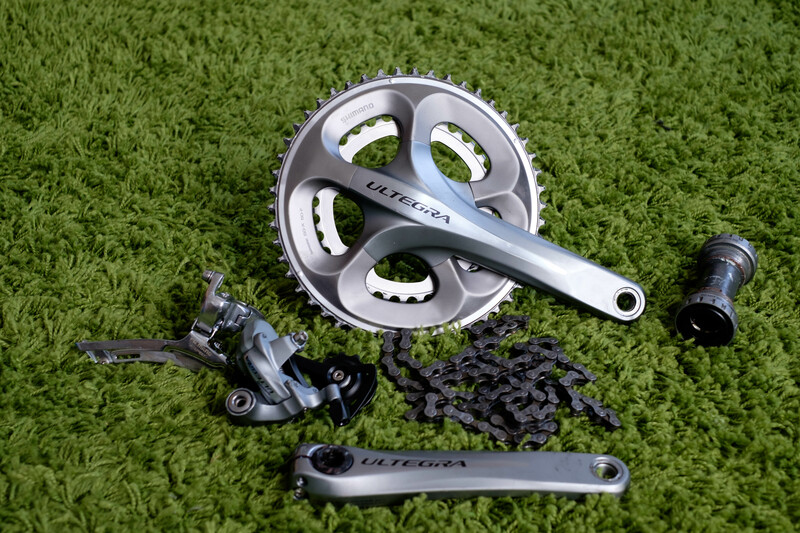 Does the Ultegra group include shifters?